Is Judge Sotomayor the right pick for the U.S. Supreme Court? I haven’t decided yet, since there are so many of her viewpoints, prior decisions and policy stances to consider. Is she a conservative, probably not. Did she really save baseball? Maybe so. But with all of these things to consider, let’s hope the U.S. Senate Judiciary Committee does not cave to pressure from the White House to quickly confirm the judge. 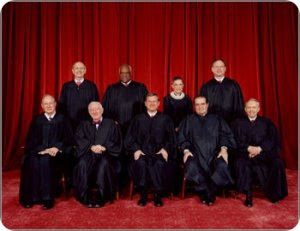 There are almost four months standing between this point in time and the start of the Supreme Court’s next session in October, 2009. That provides plenty of time to allow the Senate, and America, to really look at Judge Sotomayor’s background and experience. If the judge can explain some of her positions that are problematic to conservatives, let’s allow time for an explanation and full consideration of her views prior to a confirmation vote. For example, I am very interested in hearing her explanation as to why a white male judge is not qualified to objectively decide a discrimination matter. I am also interested in hearing the judge’s explanation for her videotaped statement where she implied her endorsement to judge made law and social policy. Are the Democrats entitled to appoint a probable left leaning judge based on the 2008 election results? Absolutely. Are they entitled to quick Senate confirmation, devoid of considered study of a judge’s prior decisions, policy preferences and overall judicial philosophy? Absolutely not. With the looming retirement of U.S. Supreme Court Justice Souter, President Obama has another opportunity to court true bipartisanship. (no pun intended) The detractors to bipartisanship will say that the Democrats won the 2008 Presidential election, and to the victor, the spoils. Indeed. The victory certainly provides President Obama the right to nominate whomever he chooses. But there remain two important considerations, among others. First, the next U.S. Supreme Court nominee will need to pass scrutiny in the Senate. The Democrats control the Senate, and have an even stronger influence on the Senate Judiciary Committee with the addition of Arlen Specter to the party. 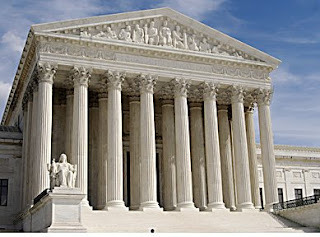 However, Supreme Court nominations are closely watched and heartily debated on both sides of the political spectrum. Second, if President Obama stifles conservative input on the nomination and confirmation process, bipartisanship will be proven a mirage. This will have a negative impact on public opinion and involve some political capital cost to the President. Especially if the issue provides the Republicans with additional ammunition to chip away at the Democrat majority in 2010.